You are here: Home » Artist » Lady A Get Digital Gold, Paisley at the White House, Etc. Lady A Get Digital Gold, Paisley at the White House, Etc. Capitol Nashville trio Lady Antebellum’s first No. 1 hit “I Run To You” also becomes the group’s first Gold digital single this week as the RIAA certifies it for over 500,000 downloads. The band’s eponymous debut is also Gold. Lady Antebellum is currently on the road with Kenny Chesney playing arenas and stadiums across the country, and will join Keith Urban for their first trek to Canada later this fall. Fans can catch the trio performing on the two-hour special CMA Music Festival: Country’s Night to Rock on Aug. 31 on ABC. Mercury Nashville recording artist Billy Currington will perform on CBS’s Late Show with David Letterman Wed., Aug. 19. 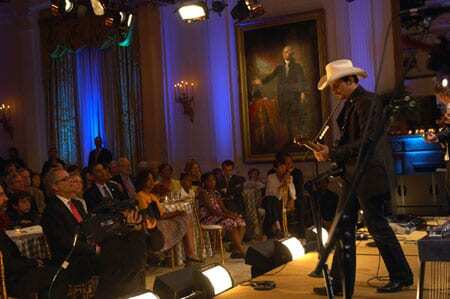 Last Tuesday night July 21, Brad Paisley was one of the performers at the Country installment of the White House’s music series. He played for the President, First Lady and family, members of Congress, and students from around the country, including many from Nashville. Also performing at the event were Alison Krauss and Union Station, and Charley Pride. And by the way, that looks like Country Music Hall of Fame boss Kyle Young on the front row. The Hall provided educational content for the program, and the CMA sponsored the trips of 40 local students. On a radio tour promoting their new single, “I Know Where Heaven Is,” country duo Halfway to Hazard will be in Florida next week for performances on The Daily Buzz, (7/29), airing on The CW Network, and the television show Daytime. “I Know Where Heaven Is,” was written by Dave Berg, Sam Tate, and Annie Tate, will appear on the duo’s yet-to-be named sophomore album, due out in the third quarter of 2009 on StyleSonic/Picnic Hill Records/Bigger Picture. Rising country music artist Julia Burton co-hosts a special edition of The Sportsman Channel’s Fly Rod Chronicles beginning Mon. Aug. 3 with repeat airings throughout the week. Cameras rolled in Cabins, WV as Burton and Fly Rod Chronicles Producer/ Host Curtis Fleming fished the North Fork of the South Branch of the Potomac River. Jewel is lending her voice to an initiative to encourage Americans to hold on to their dreams. Sponsored by www.sleepbetter.org, an online resource for health information and sleep advice, the “Sleep Better. Dream Bigger” project will employ a range of consumer education initiatives, media appearances, in-the-field blogging, events, advertising, philanthropy and specially commissioned research that will raise awareness about the importance of a good night’s sleep. Jonalee White performed at the send-off of the USS Harry S. Truman in Norfolk, VA on Sat., July 18. She played for over 5,000 sailors, their families and friends before they set sail on the aircraft carrier’s 2009 Family Day Cruise. 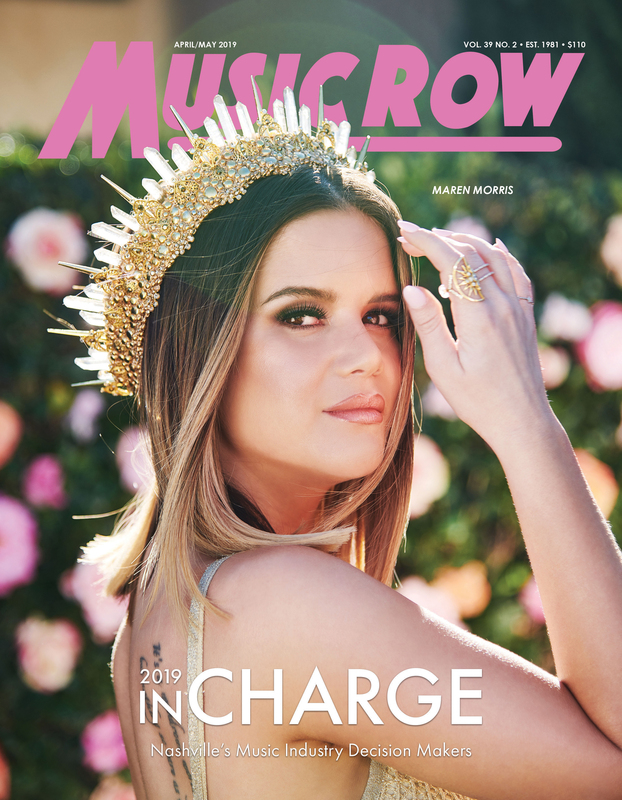 Her new single, “Perfect Angel,” is at radio and she stars in the video reality series, Long Road To Nashville, now in its second season Yallwire.com.